Confused about GDPR? Not sure what you need to do in order to become compliant? 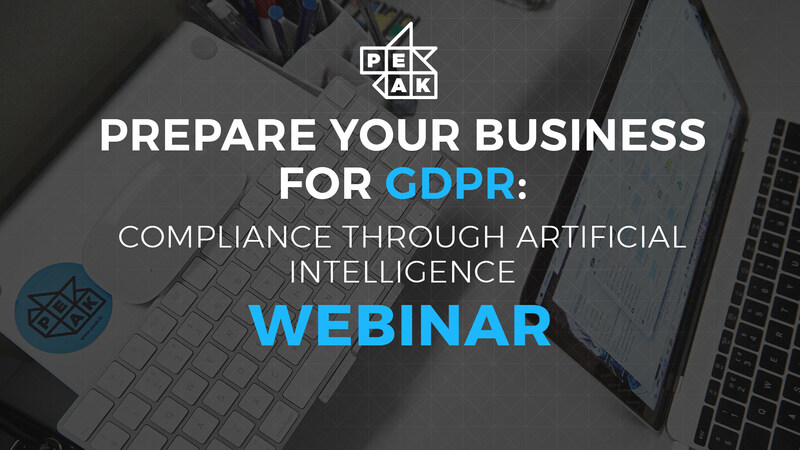 Peak has put together a free webinar, in which we explain GDPR in simple terms and show you how AI can make compliance (and life in general) a lot easier. To view the video, or to download a PDF of the presentation, simply fill in the form on the right.